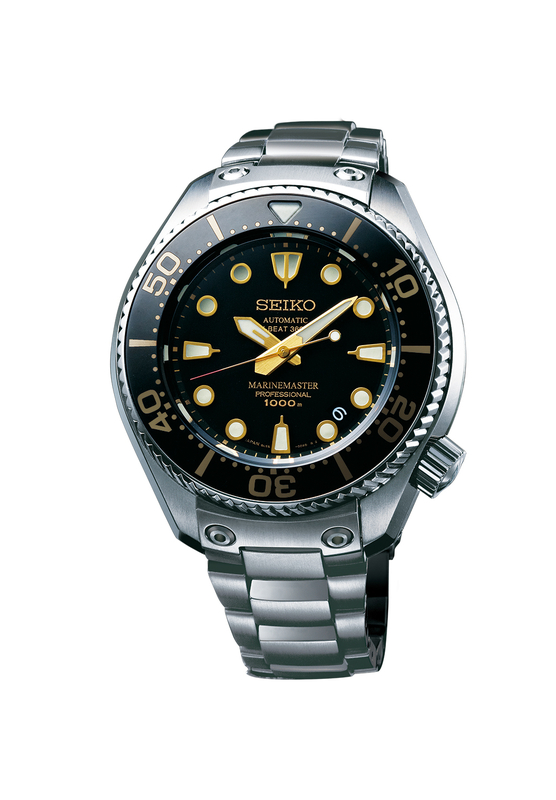 2015 marks the 50th anniversary of the first ever dive watch made by Seiko in 1965. To celebrate the occasion two new models have been released. 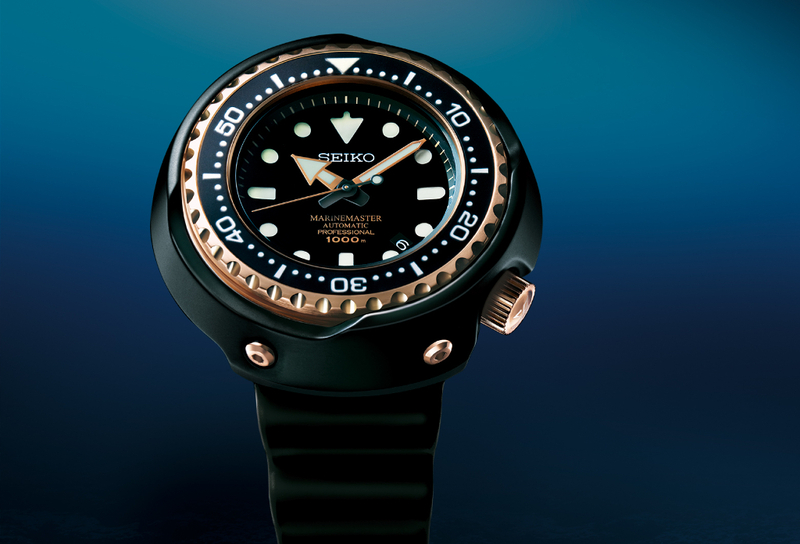 Introducing the new Seiko Marinemaster models for Baselworld 2015. Like its 1975 predecessor, the new Marinemaster Professional 1000m Diver’s has the two-layer case construction that is now the trademark of Seiko’s professional diver’s watches. Thanks to the strength of the inner case structure, the specially designed L-shaped gasket and the screw-down glass fixing ring, the watch is effectively impermeable to helium and can be safely used for saturation diving to great depths. The use of ceramic for the outer shell enhances shock resistance and also prevents any unintentional rotation of the bezel. The design echoes that of Seiko’s very first hibeat diver’s watch from the 1960’s, It has a one-piece titanium case and, thanks to this, the L-shaped gasket and other features, it is impermeable to helium and suitable for saturation diving. The rotating bezel is securely fixed to the case with four screws next to the 12 and 6 o’clock positions. It has the new Lumibrite for enhanced legibility. The 8L55 movement is specially optimized and adapted for use in a diver’s watch with this structure. This caliber beats at 36,000 vibrations per hour and has a power reserve of 55 hours, and it is also assembled by Seiko’s leading craftsmen at the Shizuku-ishi Watch studio. Each watch comes with both a titanium bracelet with extender, and a black extra-strength silicone strap. Offered in a special presentation box,just 700 pieces will be made, each with its own serial number.